Sometimes life can get a little stressful. 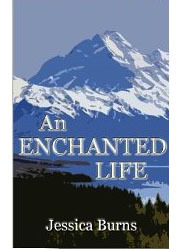 Some time ago I was looking forward to receiving the printed paper backs of An Enchanted Life. I heard nothing from the lovely people handling this for me then got an email saying the chief publisher was on holiday, hence the delay. He came back and then it was Easter so still no books. Now another week has gone by and still no books. I know they will come at some time but you get all hyped up and then nothing and you are down at the bottom of the pit. All my fingers are crossed now, not very comfortable and a bit awkward, but I am hanging in there. During my life I have known several cats. The first is mentioned in An Enchanted Life – Sooty and black cat who looked after me as a baby in my pram not letting any other cat near me in the garden. When we returned from Malaya in 1950 Sooty remembered me and at the dinner table would sit behind me on the piano stool which I used. When I lived In Christchurch, Bob knew I loved cats. A friend ‘s cat had kittens and one day he returned home with a lovely Tabby. She was gorgeous and we named her Misty. The decision was made to let her have one litter of kittens and then have her spayed. What a good little mother she was to her five babies. Once they were weaned and we found homes for them Misty settled down to being a good hunter and very affectionate cat. When Bob left to come to England he had to find a home for her, first giving notice to his land lady that he was moving. Despite him paying his rent monthly she wanted him out immediately. Jack who lived in the flat above took both Bob and Misty upstairs with him. When Bob was away on his flying duties Jack would feed Misty. He fed himself on Rump Steak and one day Misty asked him what it was, he gave a morsel,.” ooh she said’ that was tasty”!! When Bob left for England Jack asked if he had found a home for her, and when he said no he hadn’t , Jack said to leave her with him and when we returned we could pick her up. On our return we went to see Jack and Misty came and rubbed herself all round us. Jack asked when we wanted her back but I told him that she had made a big difference to his life and anyway we could not afford to feed her on Rump Steak. Jack became sick and had to move to the North Island and so left Misty with his brother but would fly down each month to see Misty. One day he arrived at the air port and was met by his brother, who told him that unfortunately Misty had died of a broken heart she had missed him so much. The next cats we had were Thomas and Tina, a ginger tom and tabby. Unfortunately we lost Tina when she was not very old, when she was run over. Thomas then became very friendly with our Labrador/Coolie cross, Nicky. The two adored each other and would greet each other in the morning, when one had been out and the other in, with a great wagging of Nicks tail and purring fit to burst from Thomas weaving all through Nick’s legs. When Thomas got run over and brought himself in, Nick lay in his bed and cried all evening. About six months after Thomas was run over and had died later that night, I was sitting, in my dressing gown watching television when Bob asked for a cup of tea. I told him I could not move as Thomas was on my knee, I felt a pressure and great heat on my knee, Bob did not doubt me when I said he would have to make the tea as Thomas was on my knee. Without a word Bob got up and made us our cup of tea. Helen and Scott left Zebedee with us, a gorgeous Ginger with a white tip on his tail, and the loudest purr of any cat I have known. The kids had gone off to Canada and we said we would look after him. When Helen came to see us at any time we would ask when she would like Zeb back. Her reply was that he was too happy with us to move him! One time when he was with us he was a bit naughty about coming in one evening and when he did come in I realised something was not right when He was lying on the floor with very dilated eyes. The next morning we took him to the vet and later when we went to collect him were shown where he had broken two bones in his back paw. The vet inserted two pins, splinted it and bound his paw up, then he had to live in a cage for six weeks. He would sit quietly on my knee each evening and then when we went to bed, we would put him back in the cage. Being the caring people we were, we would get down on the floor to say good night. A little paw would come out through the bars of the cage and gently pat us on the nose or cheek, as if to say .Thank You . Some time late we decided to move back to England and sent Zebedee up to Auckland, taking him to the vet to be sedated for the flight. Helen collected him from the air port and said the sedation was wearing off and he told her all about the flight all the way home! A couple of years later, when we returned to New Zealand, we found, when we moved in to Helen and Scott’s house while they were in Europe, that we had two cats to look after. Zebedee was there and so was Chicken a neurotic little tabby. The two cats tolerated each other but I don’t think they liked each other terribly. Zebedee was hopeless hunter whereas Chicken was a very good one. When Helen and Scott had left Chicken took to going awol periodically, she and I did not get on very well, she was much more taken with men! Some time after Bob had passed away and I was on my own and not seen Chicken for some time, a young men came to the door and said he was moving and wanted to know who owned this tabby cat, showing me a photo on his mobile phone. We decided that it was Chicken so he went and got her and brought her home. By this time Zebedee was no longer with us, he had developed kidney trouble and had lost so much weight that the kindest thing was to have him put to sleep. After that Chicken had to put up with me until I too left to return to England. Now she has a new home which I believe she is very happy in. I was packing up to leave New Zealand. A rather complicated procedure as some of my things were in store, some in the garage and the rest in the house. As the house also contained Helen and Scott’s things I had to make sure that the articles which were mine were separate from theirs. The first thing was to meet the shipping people at the store. They told me they were coming on the 8am ferry and so I was down at the gate to let them in. I waited and waited no lorry. The next thing one of Bob’s carer’s stopped and asked what I was doing, I told him and he said he would go to the ferry wharf and see what was going on. He came back and said that they had not been on that ferry and no one was there. I went back to the house and found a message to say they had missed that one and would be on the next. So down to the store again and they eventually turned up. I indicated which was our stuff and which belonged to the kids and all was duly loaded on the to van. We then drove up to the house and started on the next bit of the packing. Some weeks before a friend had come to stay and said ‘Come on we are going down to the store and bringing up some of your boxes’ This we did managing several trips and 15 boxes. So one of the men started on the boxes in the garage, some of which I had been in to so they had to be repacked and sealed. The other two came in to the house with me and one started on the bedroom where I had stored quite a few things making sure they were ours and not Helen and Scott’s. All went well and we were getting on very well when the chap who was seeing to the things in the sitting room came in with the Casket which contained Bob’s ashes. It was beautifully wrapped in a thick wrap of bubble wrap and he asked me if I was taking them with me when I flew back to England. When I felt the weight I thought about it for a minute then made my decision. “No” I told them “Bob has always wanted a sea voyage so he can have the cruise he always wanted”. They were very good and made sure he was very comfortable, packing him in with all the bedding.